M. Phil, Madurai Kamraj University, Madurai. National Eligibility Test (NET), UGC, June 1997 & December 1997. Analysis (EFA), Confirmatory factor Analysis (CFA) and Structural Equations Modeling. Singh, H and Prashar, S. (2013), “Anatomy of shopping experience for shopping malls in Mumbai: A Confirmatory factor analysis approach”, Journal of Retailing and Consumer services (Elsevier Publication), accepted for publication, Available online 22 August 2013, ISSN 0969-6989, http://dx.doi.org/10.1016/j.jretconser.2013.08.002. Aggarwal, R, Singh H and Prashar, S (2014), “Branding of Geographical Indications in India: A Paradigm to sustain its premium value”, International Journal of law and Management (Emerald Publication), Vol. 56(6) (accepted for publication). Singh, H. And Prashar, S. (2013), “Factors defining shopping experience: An analytical study of Dubai”, Asian Journal of Business Research, Vol. 3(1). Singh, H and Dash, P (2013), “Determinants of mall-image in the Indian context”, Asia-pacific Journal of management Research and Innovation, Vol. 8(4), (Sage Publication). 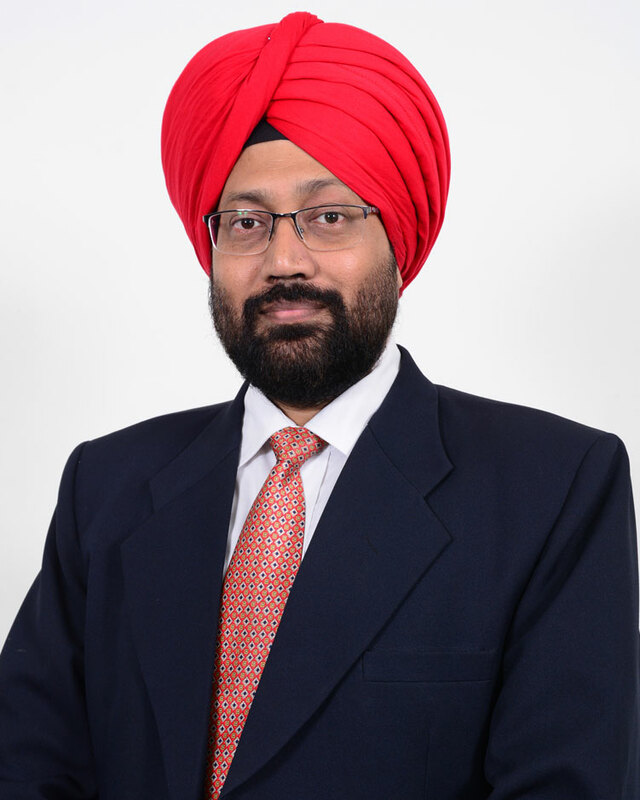 Singh, H and Dave, K (2013), “FDI in multi-brand retail: An empirical study of consumers in the NCR (India)”, International Journal of Indian Culture and Business Management, Vol. 7(1). Rishi, B and Singh, H (2012), “Determinants of Supermarket shopping behaviour in a emerging market”, Journal of Retail and Business Management Research, Vol. 7(1). Singh, H and Sahay V. (2012), “Determinants of shopping experience: Exploring the mall shoppers of National Capital Region (NCR) of India”, International Journal of Retail and Distribution Management, Vol. 40(3). Singh, H. (2012), “Financing Indian Shopping Malls: A case against fragmented ownership”, Retail Property Insights, Vol. 19(1). Rishi, B and Singh, H. (2012), “Determinants of Supermarket shopping behaviour in an emerging market”, Journal of Business and Retail management Research, Vol. 7(1). Singh, H., Chadha, S, K. and Rishi, B. (2010), “Measurement of Retail Service Quality: A case study of Vishal Megamart”, International Journal of Services & Standards, Vol.6 (2). Singh, H., Bose, S. K. and Sahay, V. (2009), “Management of Indian Shopping Malls: Impact of the pattern of financing”, Journal of Retail and Leisure property, Vol. 9(1), pp. 55-64. Singh, H. And Bose, S. K. (2008), “My American Cousin: A comparison between Indian and the US malls”, Journal of Asia-Pacific Business, Vol. 9(4), pp. 358-372. Singh, H. (2009), “Weaving relations-the diversification strategy of Punjab Markfed”, Gyanpratha, Vol. 1(2), pp. 15-19. Singh, H. (2008), “Roadmap for organized retailing in rural India”, Indian Retail Review, Vol. 2(1), pp. 29-37. Singh, H. (2008), ““Impact of Modern Format retailing on conventional distribution channels”, IMS Manthan, Vol. 1(2), pp. 57-60. Singh, H. (2007), “Going the Multi(plex) way”, Indian management, Vol. 46(1), pp. 40-46. Singh, H. (2007), ‘Stop-over Retailing: An emerging option”, Pragyaan, Vol. 5(1), pp. 4-9. Singh, H. And Bose, S. K. (2007), “Improving retail penetration of Banking services in rural India”, Man & Development, Vol. 29(2), pp. 55-64. Singh, H. (2006), “Outsourcing option Matrix: A theoretical framework for understanding corporate restructuring”, Management Edge, Vol. 3(1), pp.51-57. Thakur, G. S., Goyal, S., Bagga, R. And Singh, H. (2006), “E-Commerce-A modern solution to global business: A comprehensive analysis of E-Commerce, Electronic Infrastructure, Trends and Risk Factors”, IMS Manthan, Vol. 1(1), pp. 69-80. Singh, H. (2005), “Cultural shift and consumer behaviour: Strategic implications for the India markets”, Journal of Indian management & Strategy, Vol. 10(3), pp. 46-50. Singh, H. (2005), “Plant relocation: Emerging opportunities for India”, The Alternative, Vol. 4(2), pp. 42-55. Singh, H. (2005), “Mobile Telephony: Need to knock multiple doors”, Marketing Mastermind, December, pp. 49-53. Book titled “Mall Management: Operating in Indian retail space” coming up in February 2012 with Tata McGraw Hill. Book titled “management Case Studies” published by Excel Books. Book titled “Renvoi Perspectives-Management Caselets” published by Amity University Press. Singh, Harvinder; Aggarwal, Rashmi; and Prashar, Sanjeev (2012), “Issues of geographic branding in India: framework to exploit the hidden potential”, IP for Development: The emerging paradigm. Pune: Utkarsh Prakashan. Kumar, V. and Singh, H. (2011). “Information Technology in Retail: East vs. West,” Computing Business Applications and Legal Issues. R. Aggarwal, R. Khurana & N C Debnath (Eds.). New Delhi: Excel Books. Singh, H.; Sood, N., Singhal, I. and Jain, K. (2011) “sales Force Automation: Implementation, effectiveness and perspectives” Facets of Business Excellence. S. Puri, J. Ranjan and R. Chopra (Eds.). New Delhi: Excel Books. Singh, H and Banga, A. (2010), “Lessons from India’s pioneering Malls”, Shopping Centre News, November-December, pp. 36-38. Singh, H. (2007), “Ten Commandments”, Images retail, Vol. 6(5), pp. 80-84. Prashar, S; Singh H and Katiyar, A. (2013), “Maruti Suzuki India Ltd: Marketing”, registered with Richard Ivey School of business case repository. Case id: 9B13A001. Singh H, Nafees L, Datta K and Krishnan O. (2012), “Narrowing the last mile gap in rural connectivity: Through the looking glass of a distributor”, registered with European Case Clearing House (ECCH). Case id: 512-084-1. Sahay, V and Singh, H. (2007), “Melange; The Highway mall” published in Conference proceedings of International Conference of Management Cases 2007 (ICMC 2007) organized by IMT Ghaziabad in December. Singh, H. And Suri, M. (2007), “Family feud of Ranbaxy: The end or the beginning?” In B. Shukla, S. Prashar and H. Singh (Eds.). Management Case Studies. Excel Books, New Delhi: India. Singh, H (2005), “Money doesn’t have wings”. In B. Shukla, S Prashar, H. Singh and M. Suri (Eds. ), Amity University Press, New Delhi: India. Paper titled “Exploring the determinants of mall management from customer’s perspective in India” presented in the Fifteenth annual Conference of Global Business and Technology Association (GBATA) held in Helsinki (Finland) on July 2-6, 2013. Paper titled “Green Consumerism in India: An SEM approach” presented in the Fifteenth annual Conference of Global Business and Technology Association (GBATA) held in Helsinki (Finland) on July 2-6, 2013. Paper titled “Determinants of mall Image in Indian context” presented in the Fourth Annual Business Research Conference in New York on June 4-5, 2012. Paper titled “Issues in branding of Geographic Indicators in India” accepted for presentation in Ist International Conference on Management of Intellectual Property Rights organized by IIT Mumbai on February 2-5, 2012. Paper titled “Identification of Factors Defining Shopping Experience: An Analytical Study in Delhi NCR/ India” paper presented by the co-author on July 07-08, 2011 at LCBR European Marketing Conference 2011″ at Frankfurt, Germany. Presented paper titled “FDI in multi-brand retail in India: An opinion study of consumers from NCR” at First Internation Marketing Conference (MARCON) organized by IIM, Calcutta on December 27-29, 2010. Paper titled ““Brand Trust and Attributes of the organization: A case of 100 most trusted brands of India” accepted for presented during 6th International colloquium of the Academy of Marketing held at ESADE Business Barcelona (Spain) on April 9-11, 2010. Presented paper titled “What’s in a name: The dilemma of defining a shopping mall” at “International Conference on Globalization and emerging economies” organized by Indian Institute of Management, Indore on August 11-13, 2008. Presented paper titled “Financing of Shopping Malls in India: Problems & Prospects” at 4th SIMSR Asia Marketing Conference organized by K. J. Somaiya Institute at Mumbai on January 4-5, 2009. Paper titled “Opportunities for organised retailing in rural markets” presented in a national seminar jointly organised by National Institute of Agricultural Marketing (a body under Ministry of Agriculture) and BIT, Mesra, Ranchi at Jaipur on 30 March, 2005. Case study titled “Mumbai Indians: A case of social-media marketing” under review with Emeralf Emerging Market Case Studies. Case study titled “Royal Enfield: Reviving the brand” under review with Richard Ivery School of Business. Conducted Training session on ‘Marketing for Entrepreneurs’ for Personnel below Officer Rank of Indian armed forces. The training program was organized by Amity on behalf of Directorate of Resettlement & Rehabilitation under Ministry of Defence. Planned, designed and conducted ‘Marketing & Sales training for Wholesale Distributors of Gujarat Cooperative Milk Marketing Federation (GCMMF)’. The training is sponsored by GCMMF and is covering nearly 4000 Amul Wholesale Distributor’s all-over India.It was designed as a two-day program and was conducted at various locations all over India. Nearly 50 such training programs covering over 1000 WDs were conducted at locations like Anand, Delhi, Sonipat, Ghaziabad, Pune, Mumbai, Navi Mumbai, Kolkata, Howrah, Bhubaneshwar, Hyderabad, Vizag, Ahmedabad, Goa, Jammu, Jaipur, Bangalore, Hubli, Patna, Asansol, Ranchi, Sambhalpur, Kochi, Kozhikode, Indore, Raipur, Guwahati, Ludhiana, Dehradun, Kanpur, Varanasi and Parwanoo. Conducted two workshops on a Marketing workshop for Auto/Tractor component manufacturers and manufacturers of fasteners in Mohali & Chandigarh on February 13th and 14th, 2010 for promoting cluster branding of MSME output. The project is being executed on behalf of The Energy & Resources Institute (TERI), Small Industries Development Bank of India (SIDBI) and DFID. Conducted workshops all over Punjab for measuring expectations of people. This exercise was a part of the preparation of the vision document for the state of Punjab. It was done on behalf of Confederation of Indian Industries (CII) and Boston Consulting Group (BCG) as a part of the project India@75 envisioned by late Dr. C. K. Prahlad. The undersigned also helped in preparing vision documents for the states of Punjab & Rajasthan. Attended Faculty Development on Case Method in Management Education at Indian Institute of management, Ahmedabad (IIMA) from September 27-30, 2011. Attended the Faculty Development Program on Basic Econometrics for Management Research at Indian Institute of management, Kozhikode (IIMK) from October 19-24, 2009. Visiting faculty with Graduate School of Business at University of Haifa (Israel). In past worked with institutions like BIT Mesra, Birla Institute of management Technology, APEEJAY Institute of Management and Amity Business School. All-India Inter-varsity winner in General Knowledge Quiz. University colour Awardee for excellence in the field of extra-curricular activities. Member of the editorial board of journal ‘International Journal for Retail & Distribution management’, AMA Winter Educator’s Conference 2012, ‘Asia-Pacific Journal of Management Research & Innovation’, ‘Asia-Pacific Marketing Review’, McMillan publishers and TMH. Member of All India Management Association (AIMA)..